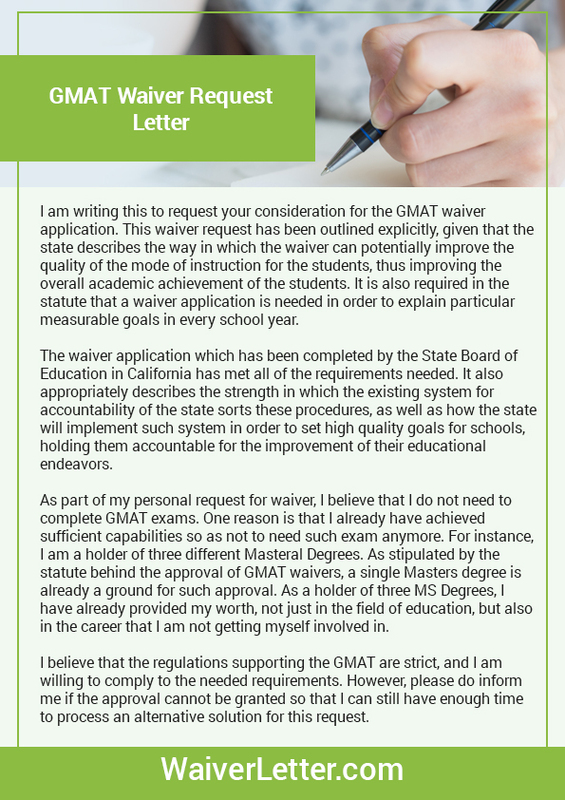 Do you need tips for LSAT waiver letter? Before going ahead with the tips and guidelines you are about to read here, check out what LSAT is and who this test is designed for information. LSAT stands for Law School Admission Test, an important aspect of applying in law schools, whether in the US or in other parts of the world. 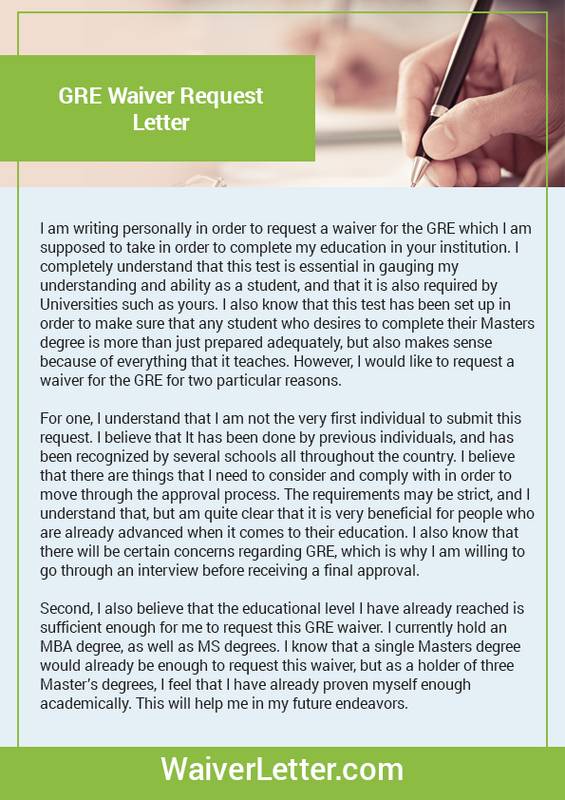 If you are interested in how to write a successful waiver letter and worried about the score on the test, you should know that it is often one of the major deciding factors on whether an applicant will be accepted in the institution or not. However, there are students who want to waive their score and request the committee to let them complete their requirements without the LSAT result. If you are one of them, check out the following LSAT tips on how to come up with an excellent waiver for law school admission. Learn how to craft a perfect MCAT waiver with our tips! State your reason for writing in the first two sentences of the letter. You should state clearly that you are requesting that the LSAT requirement is waived. The body of the letter must be anywhere between two or three paragraphs, not with lengthy sentences or a long paragraph. You can make use of a paragraph form or a bullet form when highlighting the reasons that you want the requirement to be waived. When doing so, make sure that you support any claims you are making with concrete examples or numbers. Show them that you have the knowledge and skills to perform in the law school well without the test score. You should also show them that you have the skills sufficient enough in accomplishing the program. If you are writing specific examples from your academic or professional experience, make sure that they are related to the skills measured in the exam. The closing statement must summarize your intention of applying for this waiver. You should also express that you will be waiting for an update on the approval or disapproval of your request. Before writing, you may want to check out previous LSAT or GMAT waiver letter example from other applicants so that you will have an idea on how to structure the letter as well as what information should you include on it. Maintain a professional but positive tone in your language. 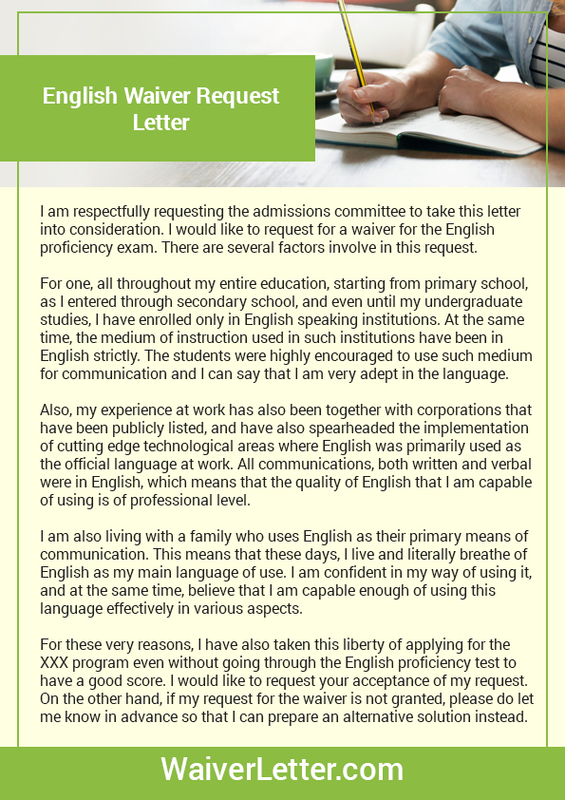 Avoid sounding arrogant in your claims and don’t use jargons when writing this letter. Remember, your main agenda is for the reader to get your message, and that might not be possible if you letter causes confusion with the bad choice of language. Do not write using long paragraphs and sentences, but get straight to the point. This will deliver your point without misleading the reader or without making him see your appeal as a weak appeal to waive the test score. Make use a business letter format, which includes a subject line, an opening salutation, a body and closing of the letter and signature. Achieve your goals of showing them that you don’t have to submit your LSAT test score because you have the knowledge and skills to perform well and accomplish the program with excellence. Not sufe what a good pediatrics personal statement should consist of? You can always use some help of SoP writing services. Follow these tips when writing your LSAT waiver!